Here at The DogSmith we recognize the importance of having a well behaved dog and making your pets part of the family. The DogSmith offers many different group class training options from beginning to master, pet manners to sports, ticks to sniffing. Anything you may need, when you need it. Check with your local DogSmith and their open group classes to register for a program. You can contract them directly to set up private training sessions. But we also understand how busy our clients are so we designed the DogSmith “Drop-In” Class just for you. “Drop-In” enrollment allows you to register and pay for a course while allowing you the flexibility to complete the classes over a 5 month period by attending any of a number of scheduled “drop-in” sessions that fit into your schedule. You will be given a “drop-in” class card that describes the necessary skills required for the course you have enrolled in and provides a record of competency level achieved for each skill. (Courses denoted by (*) are eligible for “Drop-In” enrollment. Teenagers Need Manners Too! *Teen Dog Etiquette & AKC S.T.A.R Puppy® Program.For teen dogs that missed puppy training You may wake up one day to discover that your wonderful, cuddly puppy has turned into a teenage monster, especially if it missed our puppy socialization class. This 8-week curriculum is designed for dogs ranging from 6 to 8 months old that missed the opportunity to attend a puppy class. This is a perfect course for your teen dog that has no obedience, no manners around people and doesn't play well with other dogs. Lessons are fun for both you and your dog. By using games in the learning process we help you teach your dog to be a well-mannered family member. In some DogSmith locations this class is taught by an AKC approved CGC Evaluator so when your dog completes the program it is eligible to enroll in the AKC S.T.A.R Puppy® Program, an exciting incentive program designed to get you and your puppy off to the best start possible. Secure your reservation today before your teen-dog drives you nuts! It's Never Too Late! *Pet Dog Etiquette For puppies that graduated from a puppy class or alternative training program This is our 8-week curriculum designed for dogs older than 6 months old who have already graduated from a puppy class. This course focuses on reinforcing the puppy behaviors already learned to make sure they stick. We work on increasing the duration of behaviors like sit and stay and we increase the distance your dog will perform skills such as sit, down, come, stay, walk nicely, stand and leave it. You will really be able to impress your friends and family with your polite and well-mannered four legged family member. Classes are incredibly fun for you and your dog and help increase the bond you share. Call today before its too late. Show-off Your Canine Good Citizen! 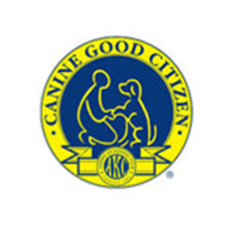 *DogSmith Solutions - Earn Your Dog's AKC Canine Good Citizen Certificate. You know your dog is well mannered but make it official and show-off to your friends and family. Teach your dog canine citizenship with our comprehensive 8-week curriculum that culminates with the American Kennel Club's Canine Good Citizen (CGC) test. The AKC CGC Program provides an excellent foundation for training in other fun activities such as Rally, Obedience, and Agility and teaches your best friend to be a well-mannered dog that is a joy to live with. When your dog passes the CGC test, the DogSmith evaluator will give you the official documentation to send to the AKC for your certificate and to register your dog's accomplishment. Sign-up today and get started. Therapy Dog Preparation. Become a Registered Therapy Dog Team: Does your dog love people? Do you want to spend quality time with your dog while helping others in need? Therapy dog teams are well trained and registered dogs and handlers who visit hospitals, nursing homes, schools, and other places to provide comfort and companionship to those in need. Join us for a 6 week long class that will prepare your obedient and friendly dog for the therapy dog registration test. Teach your dog how to work in a sometimes chaotic hospital environment; learn how to best support your partner during visits. This course will cover all test items included on most therapy dog tests. Contact us today about a free screener to help determine your eligibility for this class.